The real value of on-site clinics is being debated in benefit departments and C-suites across the country. The bottom line is, in fact, the bottom line: can you make the math pencil? Providing other, non-acute services (e.g., allied health professionals) is incrementally, and often prohibitively, expensive. For years, the debate has been waged about whether or not to have direct access to healthcare at the workplace. And, consequently, theres been an ebb and flow in its use and effectiveness. Well, the debate is changing. 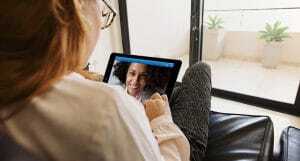 With the advent and widespread adoption of telehealth, on-site care is now not only extremely affordable, but conveniently delivers care to any and all employees and beneficiaries. 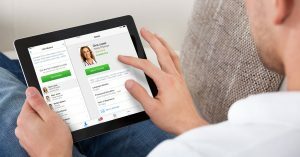 Telehealth on the web and mobile devices: No worksite clinic? No problem. American Well can be accessed on any computer, Apple or Android mobile device. 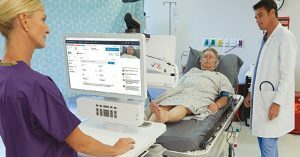 Telehealth via an unstaffed kiosk: Our telehealth kiosk and console integrate with remote examination and biometric devices let doctors examine patients from a distance, which provides the most convenient way to let employees get healthcare at work. But will my employees like it? you ask. Dont take our word for it: take theirs. 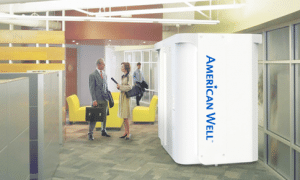 American Well enjoys a 98% patient satisfaction rating. This is based on a survey completion rate of 80%, so wed say their answer is yes. As you and your colleagues debate whether or not to build an on-site clinic, or to keep an existing one, change the conversation. American Well can be your closing argument.